If you were unable to attend programs or would like to take them in again, here's your chance to watch online. Another Great Victory for Bushwick Inlet Park and the Citizens of North Brooklyn! 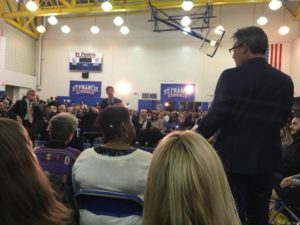 At the October 18, 2017 Council District 33 Town Hall with Mayor Bill de Blasio and Council Member Steve Levin at St. Francis College, the Mayor along with NYC Parks Commissioner Mitchell Silver announced that the City of New York will be committing over $17 million dollars to the further development of Bushwick Inlet Park. 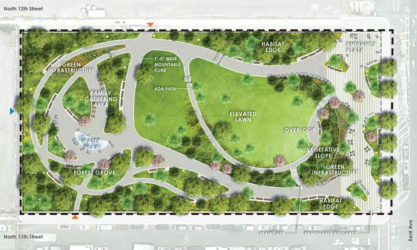 $9.8 million will go towards environmental remediation of the Motiva site (the strip of land around the Inlet itself) and $7.7 million towards construction of a permanent park space at 50 Kent (the new lawn between N10 and N11 that National Grid completed remediation on earlier this year). These funds are in addition to the $22 million that has already been allocated to demolition and environmental testing at the Bayside Fuel Oil site.